Stalwart is the w/art: Luxury grows on top of art like bubonic plague. It stares you in the face like a black lustrous melanoma cashing in on cultural status. Since the days gone by the Mercedes spike got tangled with the sky-land-water sophistry and with the laurel-wreath Benz coven. 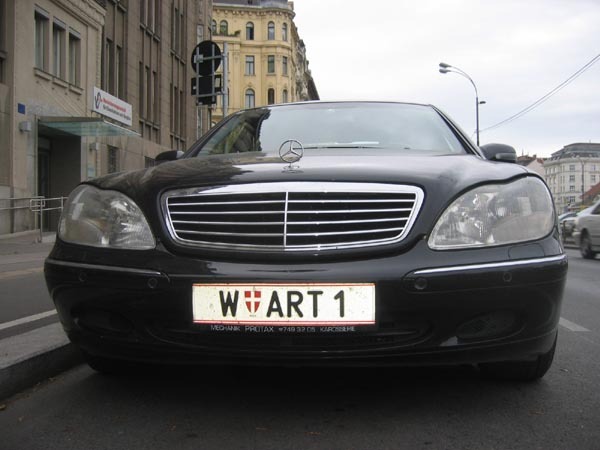 Now it’s the preferred vehicle of stratified art bangers and lavish gallery chauffeurs visiting the next big, ugly, warty fair on the streets of militarised Vienna. Art thou its pestilent driver?